The BT Equalizer BQ2S is a simple and elegant 3-band British-Style equalizer. The BT Equalizer BQ2S is equipped with high and low frequency shelving curves and a Parametric Mid-Band covering 300Hz-5kHz range. 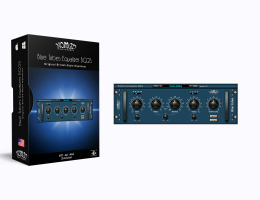 The BT Equalizer BQ2S is ideal for both tracking and mixing applications. The output stage includes a simple peak-limiter or 'Brick-Wall' circuit.